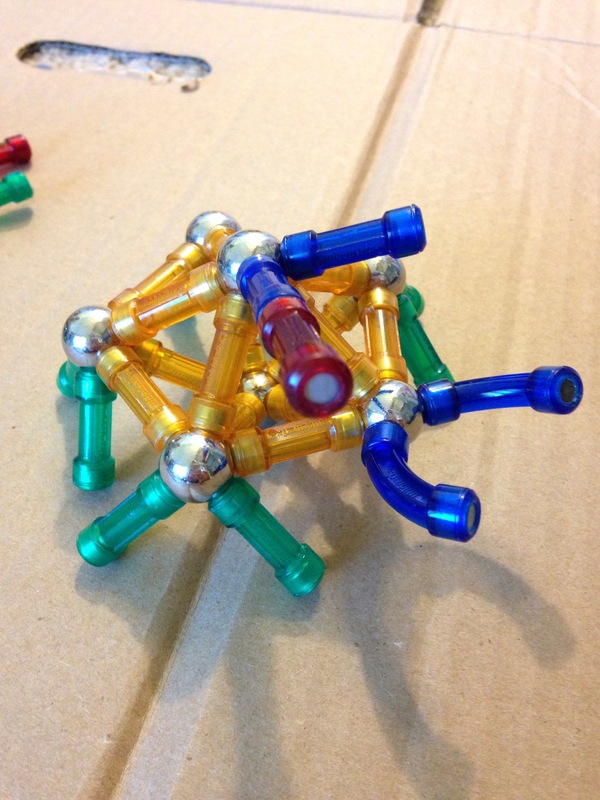 Carson and I were making cybugs (from Wreck-It Ralph) out of his magnet set. He insisted they were nice, though, not mean. So I put one of our cybugs on a magnet leash and led it around like a pet.